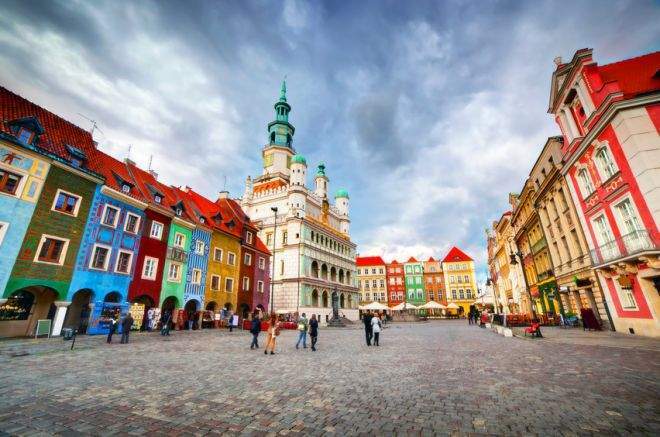 Poznań is one of the biggest cities in Poland and the capital city of Wielkopolska Region.This region is often and justly called the cradle of Polish state. Ostrów Lednicki is related to Mieszko I, the first Polish ruler, and Gniezno is the town in which the first Polish kings were crowned. Many attractions of the region are connected with its eventful past. The Island of Ostrów Tumski is the oldest part of Poznań (in the 10th century there was a stronghold that was also a ducal seat.) Modern Poznań is an important industrial and trade centre - it is home to the largest Poland’s fair grounds, where the annual International Poznań Fair is organized. - arrival to Airport Ławica in Poznań. - transfer to the hotel and check in. Programme of sightseeing: Start at Ostrów Tumski: visiting the Cathedral, the Church of Our Lady and Lubrański Academy. Visiting Poznań Bambers’ Museum, the Old Market Square, Town Hall, Museum of Musical Instruments, Royal Castle. OPTIONAL full-day trip to Gniezno - the place of rest of Saint Adalbert and coronation of Polish Kings. It houses innumerable pieces of art which include the 12th century Gniezno Doors and the 17th century silver shrine of Saint Adalbert. Gniezno’s indisputable feature is the abundance of sacred monuments and monumental headquarters of church dignitaries. These include, in the vicinity of the Cathedral, the Archbishop’s Palace built in 1830-1836, the 19th century Bishop’s Palace and Saint George’s Church, originally Romanesque, re-built at the end of the 18th century.